Tired of the same old hamburgers on the barbeque? 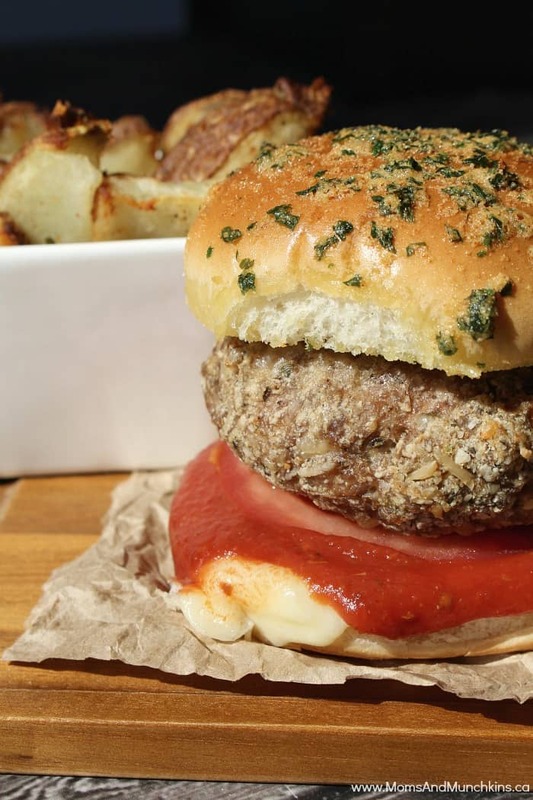 Switch it up with these Italian Turkey Burgers made with healthy, light & lean Canadian turkey! 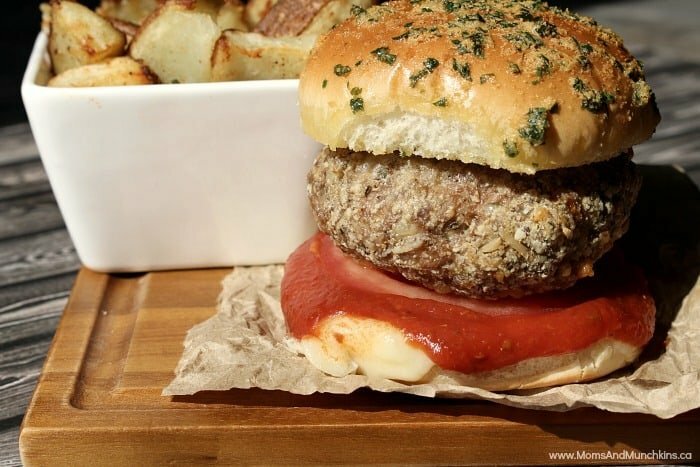 Not only is this burger full of flavour but Canadian turkey is packed full of vitamins and essential nutrients making this a healthy recipe too. It’s a fresh idea for summer when we’re all trying to make healthier food choices. I know that neighbourhood ice cream truck is hard to ignore (you can always hear that ice cream truck music coming from blocks away) so maybe you could balance out some of those summer sweets with some lean protein like turkey! I know many of us think of Christmas dinner when we think about turkey but it’s actually a delicious protein you can enjoy throughout the year. For a more lean protein option, you can swap ground turkey with almost any traditional ground beef recipe. I actually cook with turkey quite often and use it in meatloaf, meat sauce for spaghetti, tacos and in appetizers. Preheat oven to 350°F or preheat barbeque. In a large bowl, combine Canadian turkey with oregano, thyme, basil, minced garlic, black pepper, salt, onion powder, Parmesan and bread crumbs. Mix well. Form turkey into 8 small patties or 6 large patties. Bake in oven 40 minutes (turning over once after 20 minutes) or barbeque. Burgers are done when internal temperature reaches at least 165°F. In a small bowl, mix together melted butter, garlic powder and parsley. On a cookie sheet, separate all burger buns with the tops top up and the bottoms face up. On all the bun tops, spread butter, garlic & parsley mixture. On all the bottom halves, place one slice of mozzarella plus one tablespoon pizza sauce. Bake for 5 minutes until lightly toasted. Assemble burgers with sliced tomatoes and serve warm. 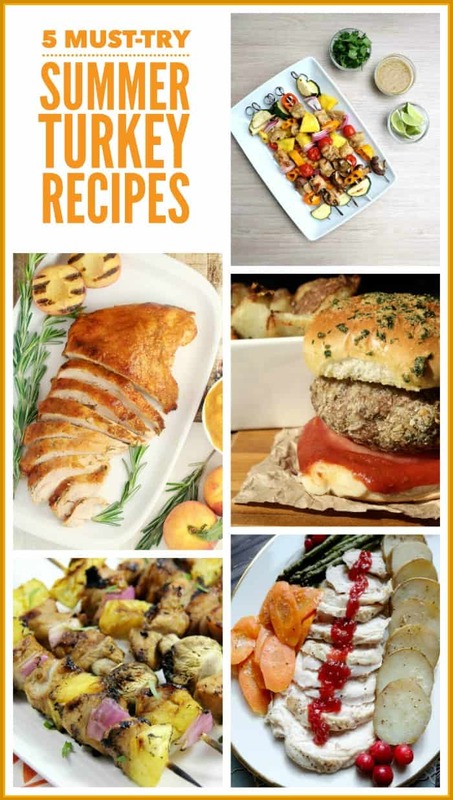 For more delicious turkey recipes, visit the Canadian Turkey website and Pinterest boards, watch their YouTube videos or follow them on Twitter and Facebook. Showcase your turkey recipe photos on social media using the hashtag #FreshIdea – we’d love to see your turkey recipe creations!